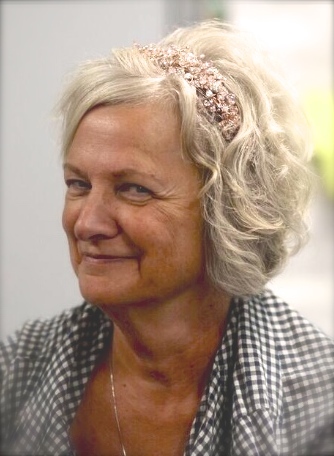 Dalene Faye Letsch of Warsaw, Indiana passed away at 1:59 a.m. on Friday, January 18, 2019 at Parkview Hospital-Randallia in Fort Wayne, Indiana at the age of 66. She was born on July 27, 1952 in Rochester, Indiana to Phyllis L. (Whetstone) Sundheimer and Dale E. Warren. She was married to David Letsch, who survives. Dalene was a 1970 graduate of North Manchester High School in North Manchester, Indiana. She attended Purdue University for two years and retired from Zimmer-Biomet as the associate director of engineering service. 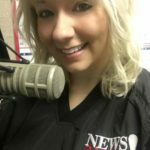 She was a member of First Christian Church in Warsaw, was a member of Hands of Hope International, was on the board of G.E.M.S., had served on the board of directors for the Grouchy Bear Foundation and enjoyed working with the American Cancer Society. She will be forever loved by her family, children, and grandchildren and remembered for her friendly smile and dearly missed by all. She will be lovingly remembered by her husband, David Letsch (Warsaw, Indiana); two sons: Michael (Doris) Taylor (Warsaw, Indiana); Matthew Taylor (Kimmell, Indiana); step-son: Dave Goshert (Pierceton, Indiana); three step-daughters: Amanda (Russell) Webb (Warsaw, Indiana); Melissa (Mark) Collado (Tomball, Texas); Jillian (Christopher) Shively (New Paris, Indiana). Also surviving are eleven grandchildren: Jason, Austin, Anthony, Jazmyn, Jaxten, Dylan, Hayley, Xander, Lorelei, Maddox and Lucy; one great grandchild: Hazel; brother: Merle Warren (Fort Wayne, Indiana); and her sister: Judy Dewlen (Covington, Indiana). She was preceded in death by her parents, husband, Richard C. Goshert in 2003, her sister, Rita, two brothers, Scott Davis and David Vanderveen, and her grandson, Matthew Taylor Jr. Her funeral service will be conducted at 11:00 a.m. on Thursday, January 24, 2019 at First Christian Church, 115 Pheasant Ridge Drive, Warsaw, Indiana and officiated by Pastor Gary Boschain. Burial will follow with a graveside service at Oakwood Cemetery of Warsaw, Indiana. Memorial donations in Dalene’s memory may be directed to G.E.M.S., 4833 W. 200 S., Warsaw, Indiana 46580 and would be appreciated by the family.